Although its failings are pretty clear to anyone who has experienced a WCA, DWP still insists it is fine and doing the job for which it was intended, which from their point of view (rather than ours) is perfectly true. They claim their ‘model’ is objective and fair, whereas it is based on little more than political dogma and a dim view of pretty much anyone claiming benefits – we are scroungers first, deserving second, likewise obvious to anyone close. It is important to continually expose their pretence for what it is and how better than in their own words. I have therefore tried to use assorted FoI requests to extract if not a clear admission, an admission by inference – often what they will not say is as informative as what they will say. Who ACTUALLY decides what and how well qualified they are to do it is a pretty key issue in relation to duty of care over the claimant/patient. As a result, DWP has to apply “post-decisional justification”, i.e. construct an argument that justifies what it has already done, regardless of the logic, or lack of it, involved. If it does not, its entire policy is undermined. This is what we have here. However DWP attempts to disguise the fact, the KEY issue in this process is my fitness to work – if I am not, I will automatically be paid ESA, if I am, I will not receive a payment. 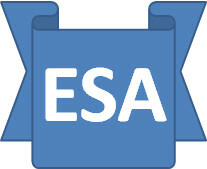 Note that there are no recorded cases of an individual being deemed fit to work, but still awarded ESA or vice versa. DWP DMs cannot decide fitness to work because they are not medically trained. Atos HCP cannot decide on ESA payments as they are outside of the public sector, so DWP has to juggle with words that suggest clarity and a clear demarcation to show all of the power sits with DWP and Atos is wholly subservient, when in fact the decision is in effect made by the Atos HCP. Remember too that what HCPs do is totally dictated by DWP, so they must be working in complete harmony. The charade is further maintained by the claim that DM’s consider more information than HCPs – mmmmmm! Firstly, as the decision should follow the WCA promptly, there is very little opportunity for anything new to arise. Secondly, if it did, chances are it would be medical, which a DM is not qualified to interpret and assess. Thirdly, according to the WCA Handbook, an HCP MUST have ALL relevant medical information to construct the WCA to best effect, so again what extra would a DM have? DWP does nowhere near enough to coach claimants towards and through a WCA and one has to ask why. Could it be that they have a vested interest in HCP “errors” to further justify the valuable role a DM has to play? You can work that out for yourself.